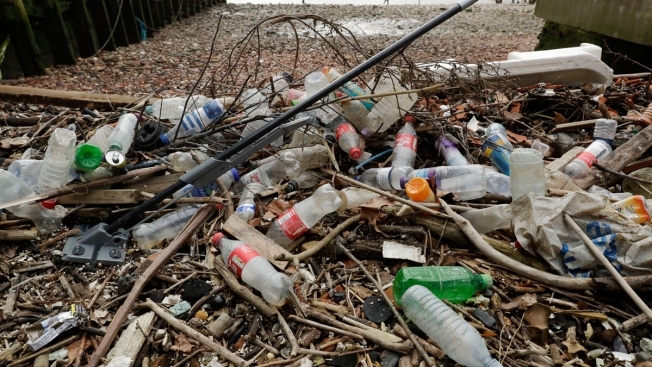 In this Feb. 5, 2018, file photo, plastic bottles and other plastics including a mop, lie washed up on the north bank of the River Thames in London. Plastic knives just won't cut it any longer, if the European Union has its way. The 28-nation bloc moved closer to banning single-use straws, plates, cutlery and cotton swabs, after officials from EU member states and the European Parliament on Wednesday backed recommendations by its executive branch designed to reduce marine pollution. Environmental campaigners have been calling for curbs on throwaway plastic that's accumulating in the oceans because, unlike organic materials, it doesn't decompose but simply breaks down into ever smaller pieces. Scientific studies have found minuscule particles known as microplastics are being consumed by animals throughout the food chain, though the impact on human health is unclear. "When we have a situation where one year you can bring your fish home in a plastic bag, and the next year you are bringing that bag home in a fish, we have to work hard and work fast," said Karmenu Vella, the European commissioner for environment, maritime affairs and fisheries. 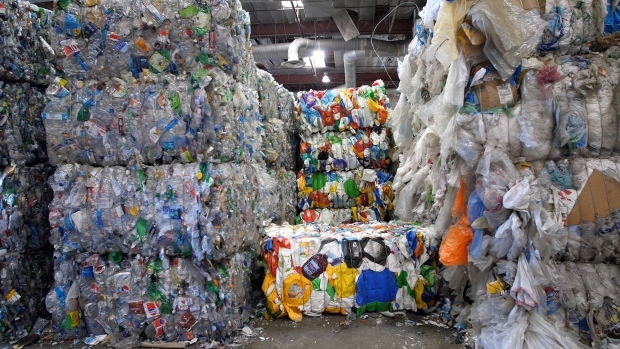 The EU's executive branch, the European Commission, estimates that almost 60 percent of the 25.8 million metric tons (28.4 million tons) of plastic waste produced in the bloc each year comes from packaging, with much of it exported to third countries rather than recycled. Once the ban is formally approved, countries will have two years to restrict the use of single-use plastic products, which will also include drink stirrers, balloon sticks, and polystyrene food and beverage containers, though plastic cups are exempt for now. The move comes a day after the EU executive, member states and the European Parliament agreed to lower emissions limits for new vehicles from 2030. According to the plan, automakers' fleet-wide emissions of carbon dioxide — the main greenhouse gas — will need to be cut by 37.5 percent compared to 2021.